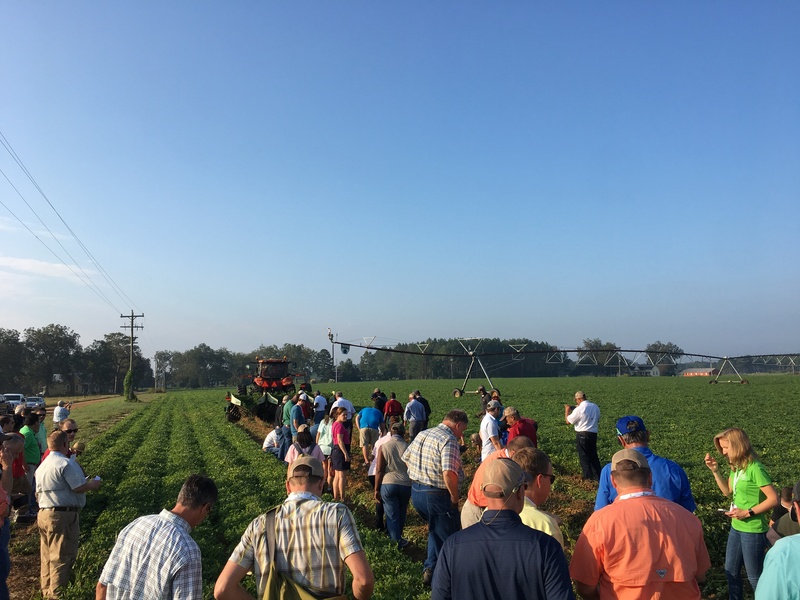 The Georgia Peanut Tour kicked off day two in Sumter County at the farm of Hal Israel. 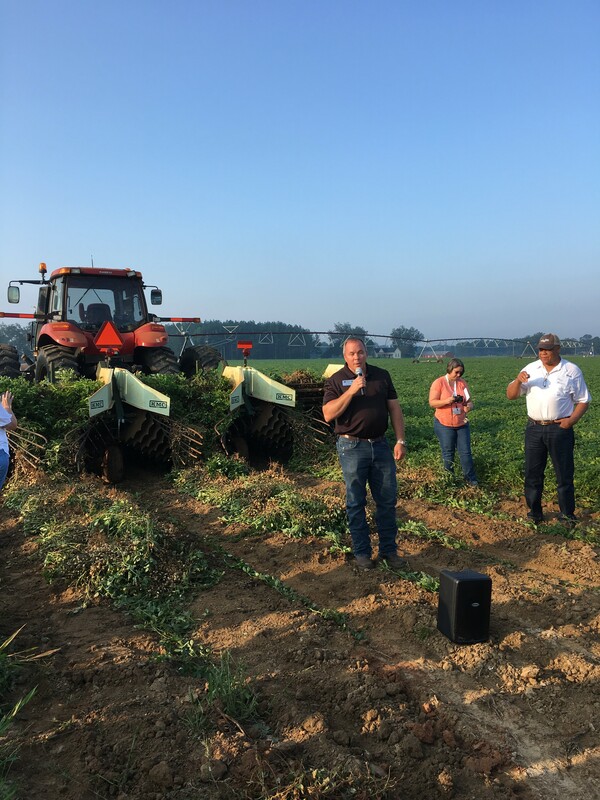 Israel has been farming for 40+ years and manages an operation of 1,500 acres. Along with 530 acres of peanuts, Israel also grows cotton, corn, soybeans and wheat. When asked about his peanut crop, Israel said most of the crop is grown for seed and 90 percent of the crop is irrigated. 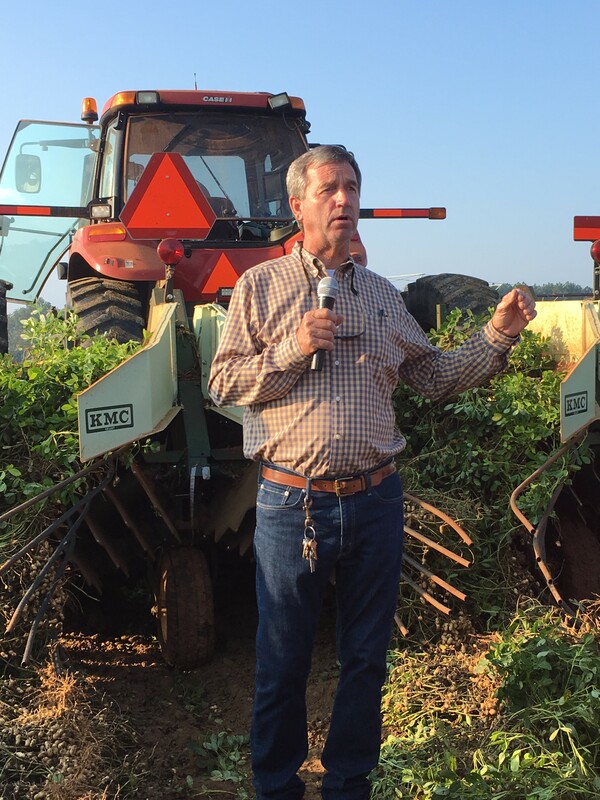 His peanuts are planted on a two to three year rotation to assist in disease management and he said most of his challenges are weather and pigweed. During the field stop, Israel showed tour attendees a new variety he is growing called GA-16HO. This variety is high-oleic and yields similar to the popular variety, GA-06G. This particular field, right at 145 days old, is estimated to yield an average of 5,800 pounds per acre. Hal Israel visiting with tour attendees about his farming operation in Sumter County. GA-16HO, the new variety Israel has planted. 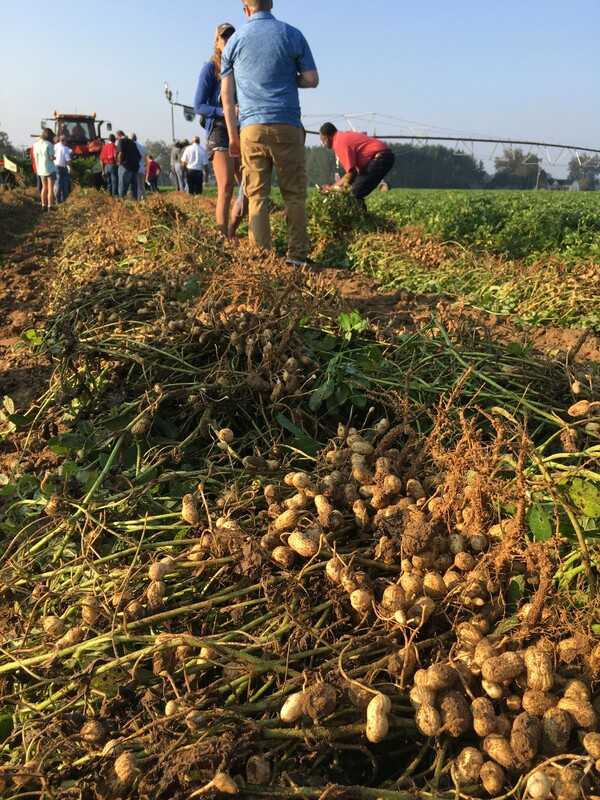 Tour attendees watching peanuts being dug at the Israel farm. Dr. Bob Kemerait, Extension plant pathologist at the University of Georgia located on the Tifton Campus, showed tour attendees examples of mild late leaf spot in the field and talked about how Israel incorporates an excellent management approach in his farming operation. 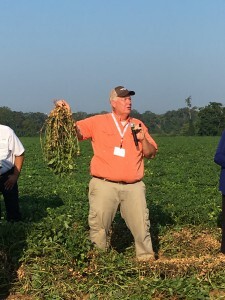 Dr. Bob Kemerait, UGA Extension plant pathologist, showing tour attendees examples of late leaf spot. 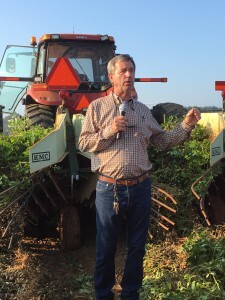 According to Bill Starr, Sumter County Extension agent, the county averages around 15,000 acres of peanuts each year. 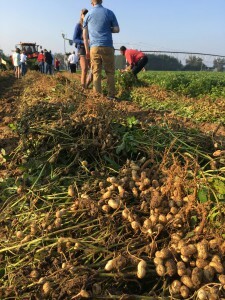 Yields average 4,800 pounds per acre and 80 percent of the county’s peanuts are irrigated. 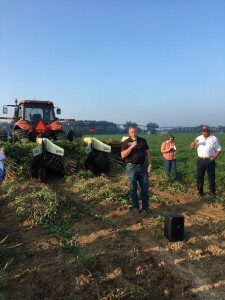 Starr also mentioned a large portion of the county’s peanuts are grown for seed. He rates the current peanut crop as good to excellent in most fields. Other major crops grown in Sumter County include: cotton, corn, pecans and vegetables (primarily snap beans). When asked about the most troublesome production issues this year, Starr said whiteflies in cotton and vegetables, difficult weather and disease problems have all presented challenges for growers in his area. Bill Starr, Sumter County Extension agent, visits with tour attendees about Sumter County ag production. To view a video clip of the GA-16HOs being dug, click below.